STREET CRY (IRE) (Bay or Brown 1998-Stud 2003). 5 wins-1 at 2, Dubai World Cup, Gr.1. Champion Aust. Sire 2015-16. Sire of 1528 rnrs, 1090 wnrs, 126 SW, inc. Winx (MVRC WS Cox P., Gr.1), Zenyatta, Street Sense, Oh Susanna, Shocking, Tomcito, New Year's Day, Whobegotyou, Long John, Street Boss, Pride of Dubai, Seventh Street, Heavens Above, Stay With Me, Lyric of Light, Victor's Cry, Majestic Roi, Here Comes Ben, Street Hero, Cry and Catch Me, etc. SISTINE ANGEL, by Testa Rossa. 2 wins at 1200m, 1600m, A$471,800, VRC Edward Manifold S., Gr.2, MRC HDF McNeil S., Gr.3, 2d SAJC Robert Sangster S., Gr.1, VRC Gilgai S., Gr.2, MRC Sandown S., Gr.3, Thousand Guineas Prelude, Gr.3, VRC Cleandomain 2YO H., 3d MRC Angus Armanasco S., Gr.2, Blue Sapphire S., L, SAJC Proud Miss S., L. Half-sister to SISTINE DEMON. Dam of two named foals, both raced. SISTINE ANGEL (Testa Rossa). 2 wins. See above. SISTINE DEMON (Excites). 8 wins from 1200m to 1650m, A$489,310, MRC Victoria H., Gr.3, VRC March S., L, Western Health H., Skipton H., MRC Thomas North H., MVRC City Jeep H., 2d MRC Anniversary Vase, L, Kilmore Cup, L, 3d MRC Victoria H., Gr.3, Weekend Hussler S., L, Superior Food Services H., MVRC City Jeep H., 4th VRC March S., L.
Artistic Lass. 5 wins from 1800m to 2200m, A$222,890, ATC Ranvet H., Australian Turf Club H., SAJC Projection Graphics H., Sale TC National Jockey's Trust Heat H., 2d ATC Drummond Golf H., Dunmain H., Australian Turf Club H., Become an ATC Sponsor 2YO P., Bloodstock.com.au H., 3d ATC Goldners Horse Transport 2YO P., Ranvet H., 4th ATC Fernhill H., L.
Sistine Spirit. Winner at 1400m, MRC Tweet Willhillwolfpack H.
Matt Finish. 4 wins to 1300m in Aust. Sistine Saint. Winner at 1900m in 2017-18 in Aust. Another Demon. 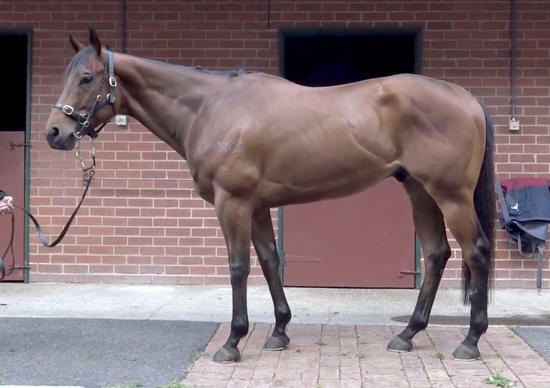 5 wins at 1100m to 2018-19, 3d SAJC Richard Angove 2YO P.
Alma's Rossa. 3 wins to 1500m, A$99,175, to 2017-18, 2d MRC Margot McCluskey H., 3d VRC Trevor Clarke H., MRC Moorookyle Park Thoroughbred Stud H., Ladbrokes H.
GALLOPINI (Canny Lad). 5 wins from 1200m to 2000m, A$282,650, QTC Cup, Gr.2, VRC Pivot Superfect Sprint H., Teac H., Full on Aces H., VATC Beau Sovereign H., 2d VATC Jack Holt Welter H., 100% Smokefree Indoor P., 3d VATC Japan Racing Association S., L, Bendigo JC Autumn Cup, VRC Demus H., MRC Anniversary Vase, 4th VATC Caulfield Sprint H., Gr.2, Sandown S., Gr.3. LAND SPEED RECORD (Bluebird). 2 wins at 2, A$85,890, VRC Maribyrnong Trial S., L, VATC Ripponlea 2YO H., 2d VATC Mercedes-Benz H., L, Rancher S., L, 3d VRC WJT Clarke S., L, VATC TR Trevaskis P.H., 4th VRC Sires' Produce S., Gr.1, VATC Blue Diamond Prelude, Gr.3, Debutant S., L. Sire. Blucheetah. 2 wins at 1300m, 1400m, QTC Thurlow H., 3d STC Australian Olympic Team 2YO H. Producer. Sound Win. Winner at 1650m, HKJC Pak Tin H.
Marmaa (General Nediym). 4 wins-1 at 2-to 1200m, A$311,550, MVRC Microflite Helicopter Inglis Juvenile S., SAJC Bob May Workplace Emergency Training H., 2d MRC Blue Diamond Preview (c&g), L, Congratulations Luke Nolen 2YO H., Harrolds H., SAJC Evright.com H., WATC Ozbet.com.au H., Perthracing.com.au H., Facebook.com Racingradiowa H., 3d VRC Schweppes Tonic P., SAJC Allan Scott Park Morphettville H., WATC Crown Perth H., Schweppes H.
RANCHEETAH (Rancher). 8 wins. See above. Race Record: 3 Starts 0-0-0 A$1,300.